Born in 1977. 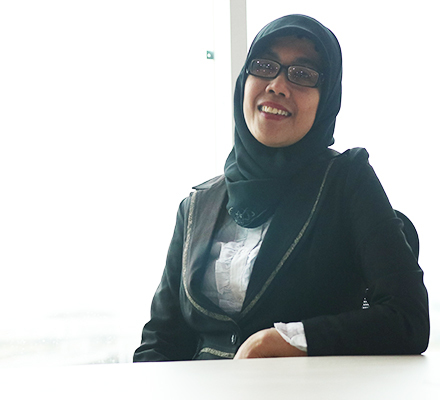 Earned her Bachelor Degree in Accounting from University of Hasanuddin. Attending degree in Computer Engineering at AKBA School of Information Management and Computer. Previously worked as Accounting at Astra-Honda Motor and as General Manager at PT Anugerah Door. Currently serving as Director of Finance & Administration at PT Davest Artha Propertindo and as Commissioner at PT Anugerah Berkat Abadindo. Appointed as Unit Internal Audit of the company based on a Resolution of the Extraordinary General Meeting of Shareholders on December 2017.